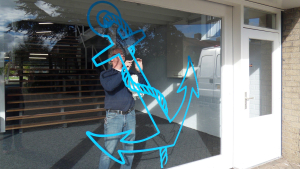 Design your own bespoke window decals and apply it yourself. Custom window decals that perfectly fit your business and/or private needs. For both indoor and outdoor use with long durability. Quick and Easy. Design it yourself. Apply it yourself. Cut-to-size, cut-to-shape, made-to-measure. Add your own design, name, logo, artwork, quote’s, lettering, family crests, etc. to your custom/bespoke window decal. Design it yourself. 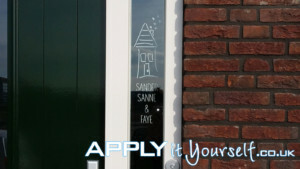 Design your personalised window decals to perfectly fit with your house, architecture, business, brand and/or corporate image. Our made-to-measure bespoke window decal solutions are made of high quality vinyl and will arrive pre-assembled in a sturdy box. Ready for application, no additional work is required. Apply it yourself. 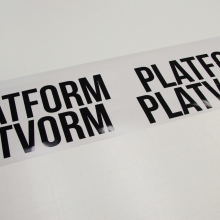 Due to the high quality and bubble free characteristics of our vinyl, it is easy to apply yourself. 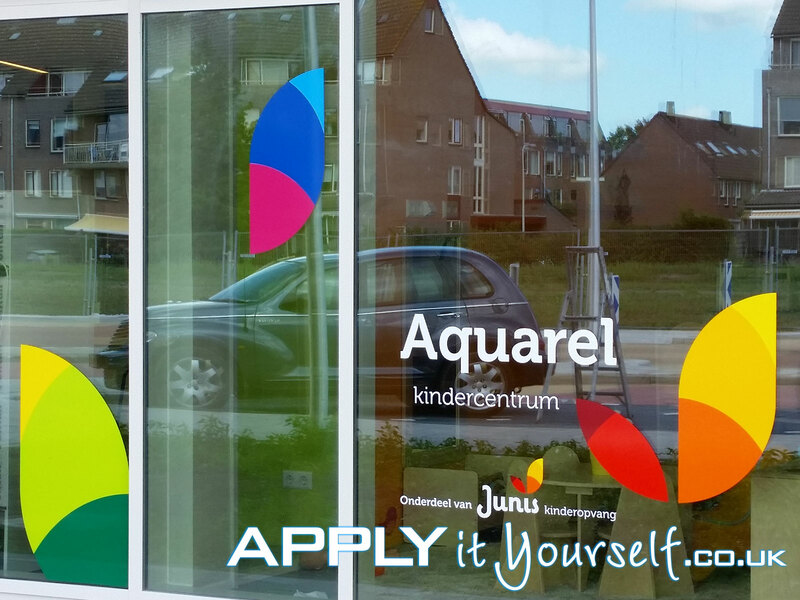 Our window decals can be applied to both the inside and outside of the window. Read our extensive online instructions and watch our informative instruction videos to quickly learn how to apply the window decal yourself. A. Design it Yourself. Personalized window decals. 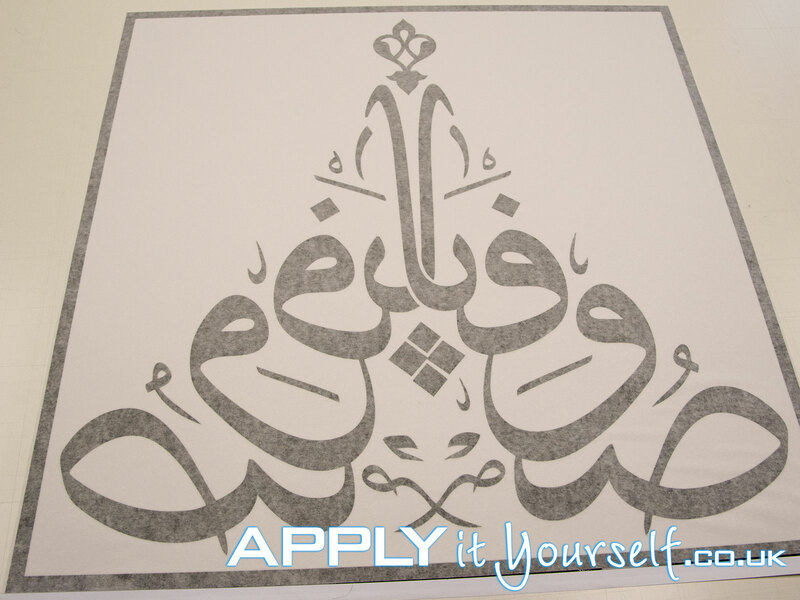 Window decals with your own unique designs, name, texts, logos, artwork, images and style. In any colour, shape and size. Below you will find our online designer, which you can use to design your own custom window decals. We advise you to use a PC/MAC or a tablet in landscape mode when using our online design software. Enter the required size in mm. 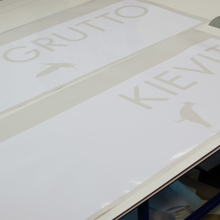 We advise you to first watch our instruction video, and read the instruction, located below the online designer, on how to design your own bespoke window decals. Here you can upload your own vector designs as a .svg/.eps/.ai/.pdf file. Use just a single colour for your design. 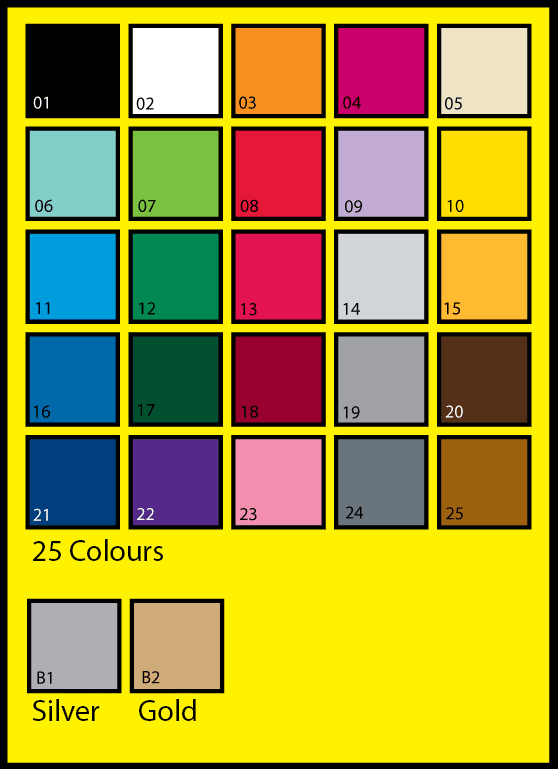 See the list of available colours at the end of this web-page. Convert fonts to outline! Avoid the use of small objects! The smallest object (a dot) needs to be at least 3mm x 3mm. Lines need to be at least 3mm wide. 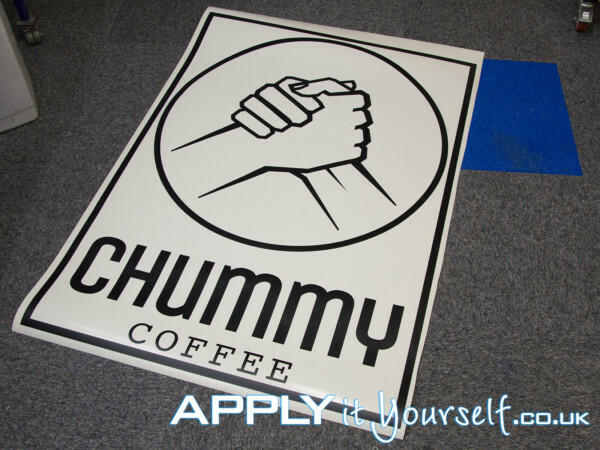 If your design does not adhere to these specifications, your design will be printed on a rectangular window sticker instead of cut-to-shape out of colour vinyl. If you do not in adhere to these design specifications we will not be able to cut your design. 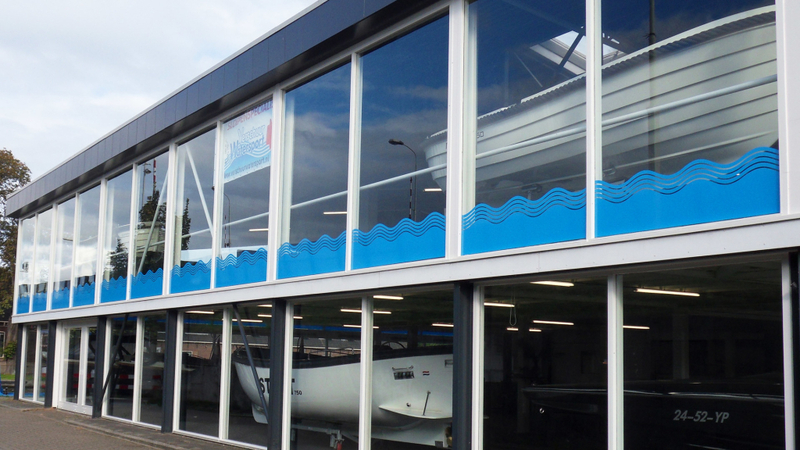 Your design will therefore be printed on a rectangular white window film/sticker (6). Or cancelled. If your file does not properly upload or you need assistance. 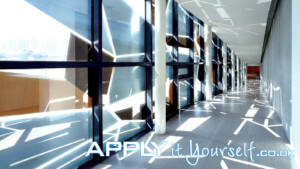 Contact us directly by email and attach your files, together with your wishes and window film type and dimensions. 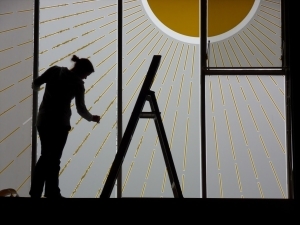 Above you will find our online designer in which you can design your unique bespoke window decal, to perfectly fit your personal and/or business needs. Your own custom window decals will perfectly fit with your business (i.e., office, shop, restaurant) requirements or personal needs (i.e., home, front door, living room, kitchen, nursery, French doors, shower doors bathroom, children’s bedrooms). Instruction. How to design your personalised window decals. Measure the size of the window glass. We advise you to subtract both 10 mm from the length and 10 mm from the height of this measurement. For a good and easy fit, if you want to cover the entire window. Enter this size in millimetres into the online designer, say 500 x 500 mm (NOT in centimetres or inches). Maximum size 1180 x 3500 mm or 3500 x 1180 mm. 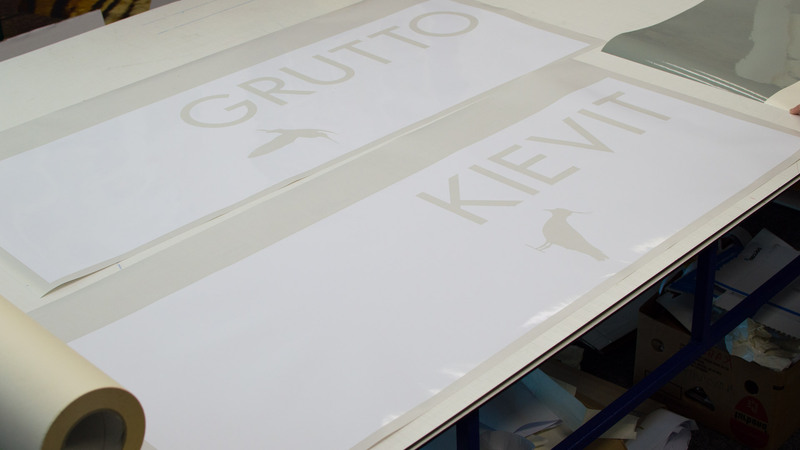 If you are looking for larger bespoke window decals. 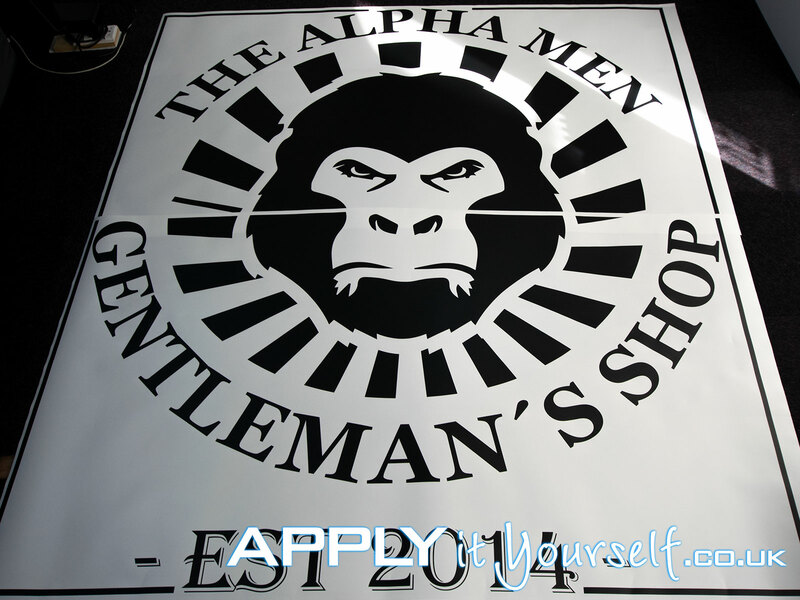 Or are looking for a large number of window decal designs? Please contact us by email. Use only one colour. From the 25 colours + gold and silver. If you already have you own design (as a vector based file in .ai/.eps.) which consists of multiple colours contact us directly by email. Do not use more than about 150 characters/elements in the entire design. If you are looking for large amounts of texts and/or design elements. Please contact us by email. We advise you to use texts/lettering that is at least 30 mm high. Underneath the online designer you will find a question (in magenta/pink) whether you want to apply the window decal on the inside and thus require a mirror-image. 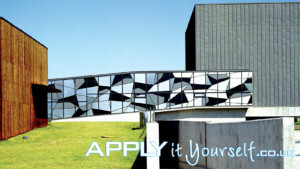 Or if you will be applying the window film on the outside and/or not require a mirror image of your design. You do not have to make a mirror image of your design manually in the online designer! Do you already have a design? Please check the design specifications if you logo confirms to the design specifications for vector based designs. You can use multiple different programs to design you own logo like Adobe Illustrator, Corel CorelDraw, or Open Source software like GIMP or Inkscape. Also, if you require non-western texts (Arabic, Mandarin, Sanskrit, etc.) please contact us by email with your design. Below you will find an instruction video on how to use our online designer in order to design your own unique custom window decal. You can quickly and easily make your own custom window decals with our own unique online designer. 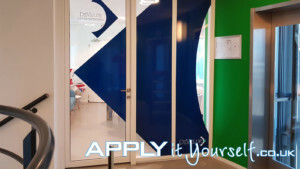 Your window decal will be cut-to-size and cut-to-shape and can be applied to both the inside or outside of your window, to create the desired effect you need. There are at least 27 different colours of vinyl to choose from. See the online designer for a most up-to-date list of vinyl colours. 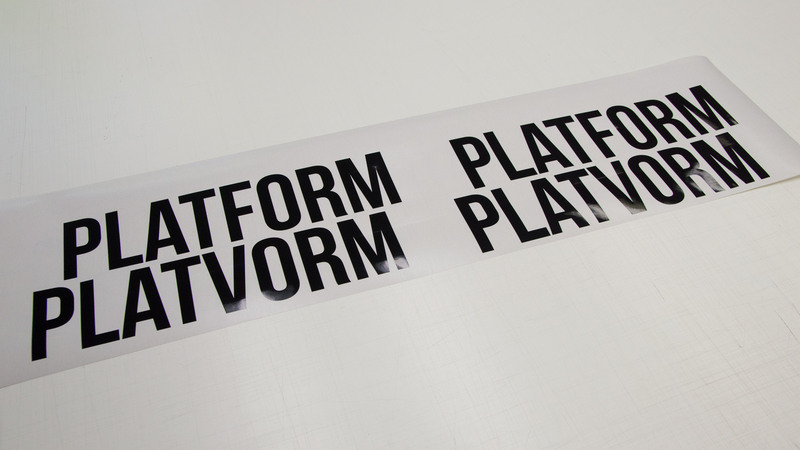 For large jobs (at least 50 square meters) we can supply you up to 13.000 different vinyls. Do not use more than 1 colour in your design. If you want to use 2 or more 2 colours in your design, send us your design by email, to see if it is possible. 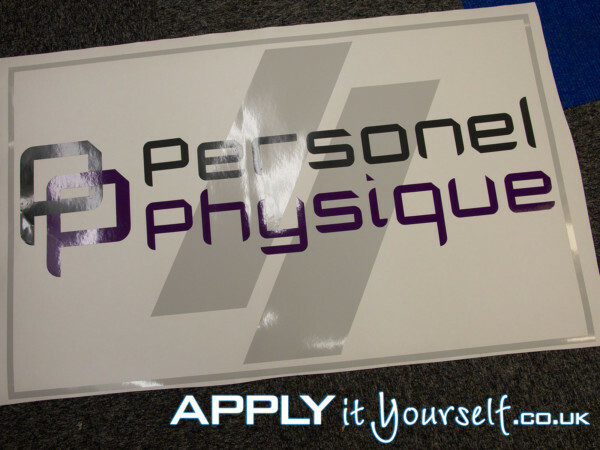 Our personalised window decal solutions are made from high quality vinyl. Providing you with years of enjoyment. 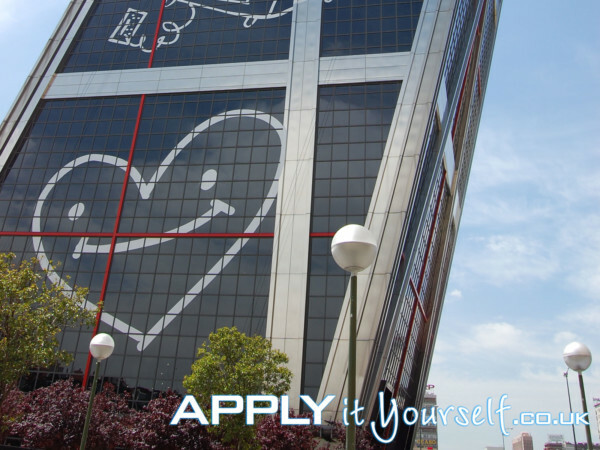 Window decals can be used on windows, walls or tiles as branding, advertising, or decoration. Window decals can also serve as a tool to warn people that there is a glass wall or door, in front of them. Professional high quality, long durability, weather and UV resistant window decals. The front and back of the window decal has the same colour. The material itself blocks most of the incoming light. Material itself is largely opaque, but the amount depends on the colour of the vinyl. The darker the vinyl the more light it will block. 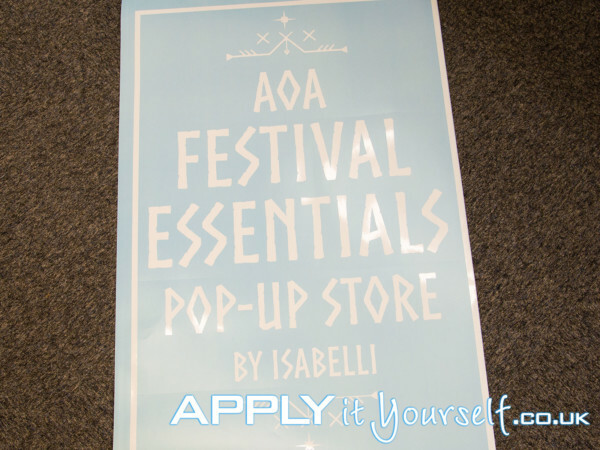 The window decals can be applied both indoors and outdoors. And are easy to apply yourself without bubbles. 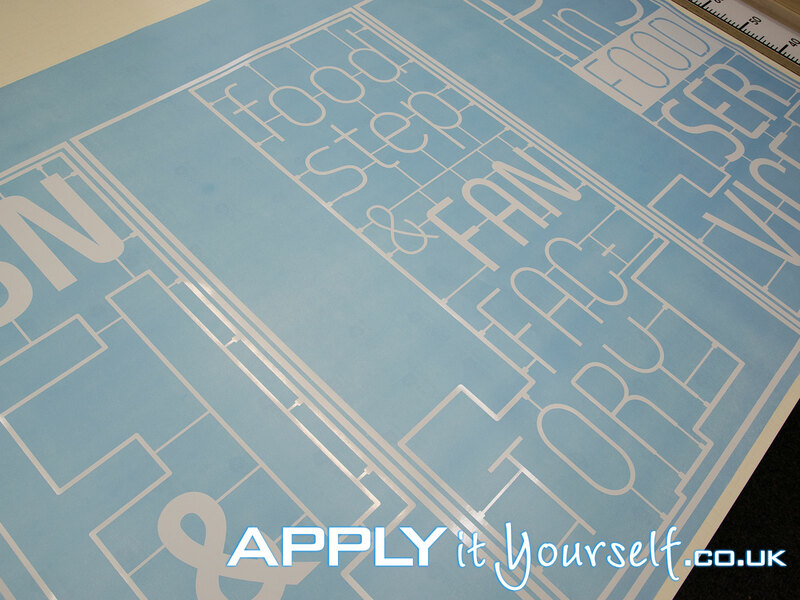 You will receive your window decal with transfer tape and squeegee no additional tools required. 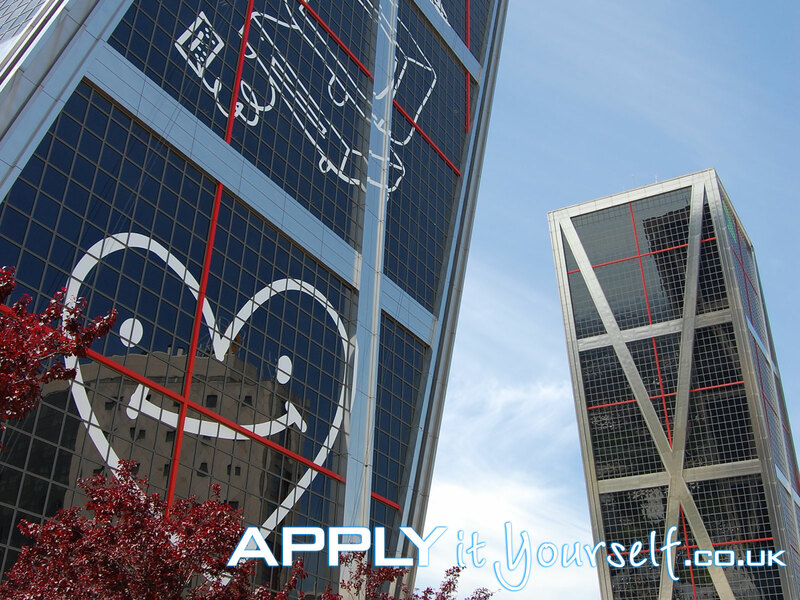 Only apply window decals on normal flat and smooth glass surfaces. Suitable for both single and double glazing. Easy to remove without damaging the glass. B. Apply it Yourself. How to apply window decals? 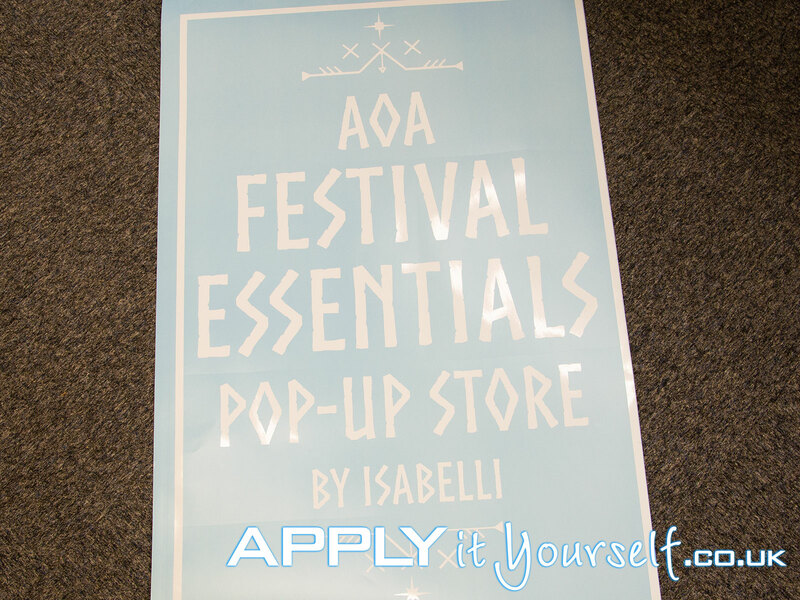 Your window decal will arrive in a sturdy box (pre-assembled) with a squeegee (free of charge). Ready for you to apply the window decals to your window(s). 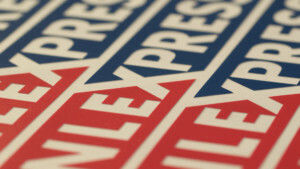 After you have received your shipment of window decals, unroll the material as soon as possible. Do NOT store the window decals in the box until use. Always, read our extensive general information first, which you will find here. Below you find instructions on how to apply window decals yourself. Always keep your window decal film flat so that is does not bend/fold. Make sure to not apply window decas in direct sunlight, make sure the temperature of the window film, the window it self and the surrounding air, is -ideally- around 12 to 18 degrees Celsius. When the temperature is above 18 degrees we advise you to apply the window film during the early mornings or after sundown. Clean the window thoroughly. Remove paint, grease and other dirt. If any is left behind, it will always be visible! Use the supplied squeegee and card over the application-tape/transfer-tape on the front of the window decal to further increase the binding between the two. Use a flat surface, like a sturdy table. Remove the backing paper. Carefully. 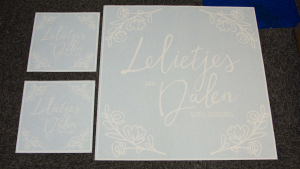 When the film contains cut-outs/letters/elements, be very careful when removing the backing paper, as to not tear the window decal itself, when parts of the film remain stuck to the backing paper. Take your time, most mistakes occur here! 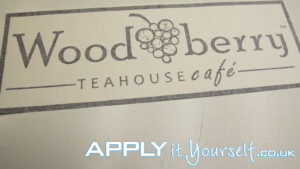 Apply the window decal with the application-tape to the window, position the window decal at the preferred location. Use your supplied free squeegee. Start in the middle/centre of the window decals and move horizontal with overlapping movements towards the edge of the window decal. 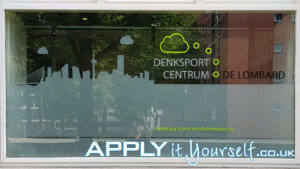 During which you hold the window decal a couple centimetres (2 inches) above the window/mirror/surface itself. Check to see if there is still any air trapped between the window decal and the window itself. In the rare occasion that air is still trapped between the window and the window decal. Gently push the air bubble to the edge of the window decal (nearest part of the window not covered with window decal). No need to use force. If you do not succeed without using force use a pinprick to burst the air bubble. Allow the adhesive enough time to stick to the window. So that removing the application-tape/transfer-tape does not lift the window film from the surface/window/mirror. Remove the application-tape/transfer-tape after a couple of hours, 6 to 12 hours should be enough. 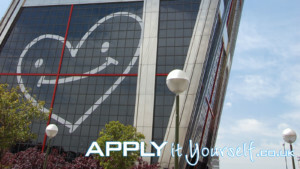 If, when removing the application-tape/transfer-tape, you lift the window decal from the window glass. Wait 24 to 48 hours before removing the application-tape/transfer-tape. Below you will find a number of photos/examples of window decals for both personal and/or business needs. 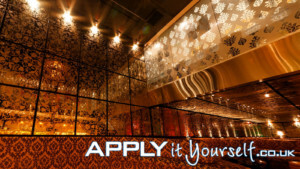 Custom window decals that perfectly fit your requirements. Below your will find a large number of examples and photos of custom window decals. Designed by us and/or our clients. They should give you an idea what is and isn’t possible with window decals and hopefully inspire you to design your own personalised window decals. 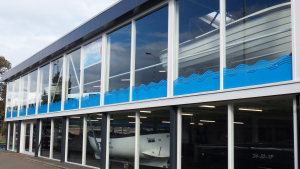 Below you will find a number of examples of bespoke window decals for both personal and business needs. Window decals for offices and homes. Custom window decals that perfectly fit your needs. Below you will find a number of examples and photos of window decals. If you want us to design one for you, or you already have a design. Contact us by email.